Our research deals with various issues in evolutionary biology, most of which are connected with symbiosis and genetic conflicts. Several projects are focused on the horizontal transmission of heritable material, from Wolbachia bacteria to transposable elements or even housekeeping genes: which genomic components can move between branches of the tree of life, at which rate and through which processes? How does the resulting partial evolutionary disconnection affect patterns of conflict or cooperation among these elements? Horizontal transfers also question more generally the sources of heritable variations in fitness, potentially including non-genetic modes of inheritance. I also got interested in the evolutionary implications of these phenomena. To address these questions, we use genomic approaches applied to large scale samples from natural habitats, from French Polynesia to Costa Rica, as well as modelling. Lyon is a beautiful and lively city, not far from the Alps. The LBBE lab (https://lbbe.univ-lyon1.fr/?lang=en) offers a very active scientific environment, dealing with many current issues in evolutionary biology, from molecules to ecosystems, with diverse approaches, from the bench and the field to big data and pure theory. 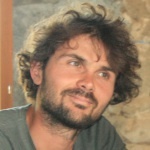 Applications should be submitted to Sylvain Charlat <sylvain.charlat@univ-lyon1.fr> by June 1, 2019. Please include your CV and the names of three individuals who are prepared to provide letters of reference. For further details, contact Sylvain or other team members: Julien Varaldi, Vincent Daubin, Vincent Miele, Damien de Vienne (CNRS - University of Lyon), Clement Gilbert (CNRS - Gif sur Yvette), Daniel Janzen (University of Pennsylvania), Paul Hebert (University of Guelph).